The individual and doubles wins mark only the second time US athletes hold Inas World Titles since cyclist Syd Lea won at the 2011 Global Games. Building on their Australian experience and a week-long training camp hosted by Wintergreen Resort, four US players traveled to Mont-de-Marsan, France for the Inas Tennis World Championships. The US won the women’s singles and women’s doubles World Championship. The wins mark only the second sport in which US athletes have won an Inas World Championships since Syd Lea won in cycling at the 2011 Inas Global Games. Singles: Brittany Tagliareni won the women’s world championship without dropping a set the entire tournament; while Katherine Richards placed fourth in singles. 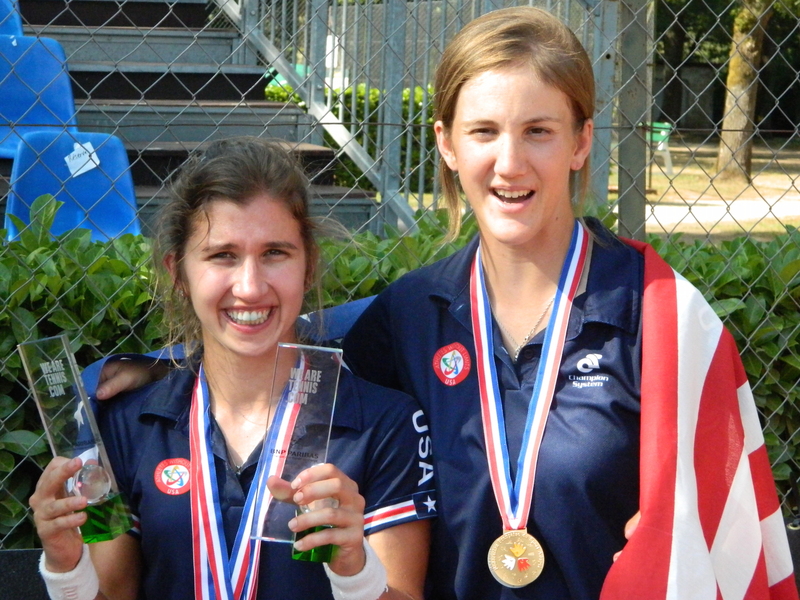 Doubles: Tagliareni and Richards defeated the Netherlands for the women’s doubles world title. The US continued its impressive doubles play by placing second (Katherine Richards and Floridian Ryan Smith) and third (Brittany Tagliareni and Jonathan Fried) in mixed doubles.